I am a big fan of sanctuary products, and loved discovering more of the range over Christmas with my advent calendar. 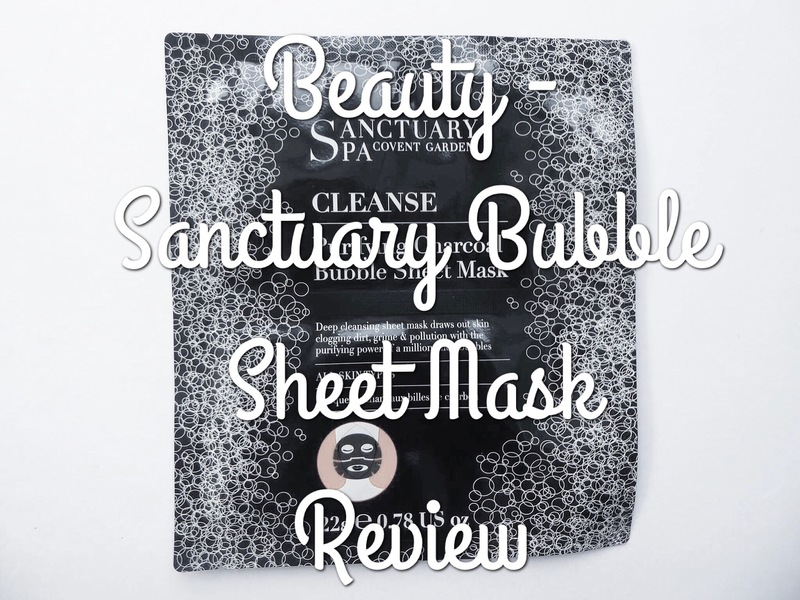 When I did my big Boots birthday beauty haul last week I was intrigued by their latest product – the charcoal bubble sheet mask. 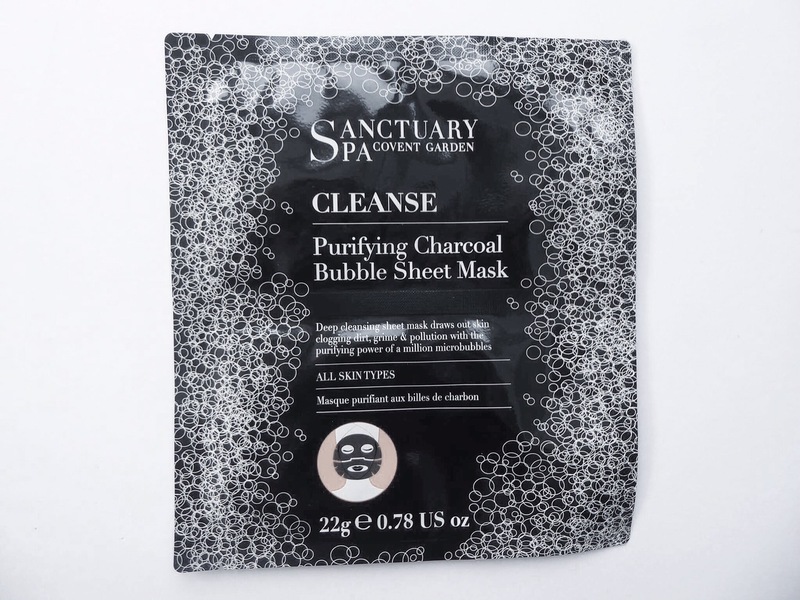 It was free when spending £10 or more on sanctuary products so I happily bought the charcoal thermal mask that I loved from the calendar and picked up my free sheet mask to try back home. To be honest, I wasn’t sure what to expect, the marketing photos made the mask look very foamy, and I wasn’t sure if perhaps the photos had been doctored. Having now tried the mask myself I don’t think they have, it really does produce a lot of bubbles! The mask was pretty tricky to remove from the packaging, one half was fairly straightforward but the second I ended up biting open (which was a big mistake as I got product in my mouth – yuck), so you may need scissors. However, the instructions were quite simple and easy to follow. 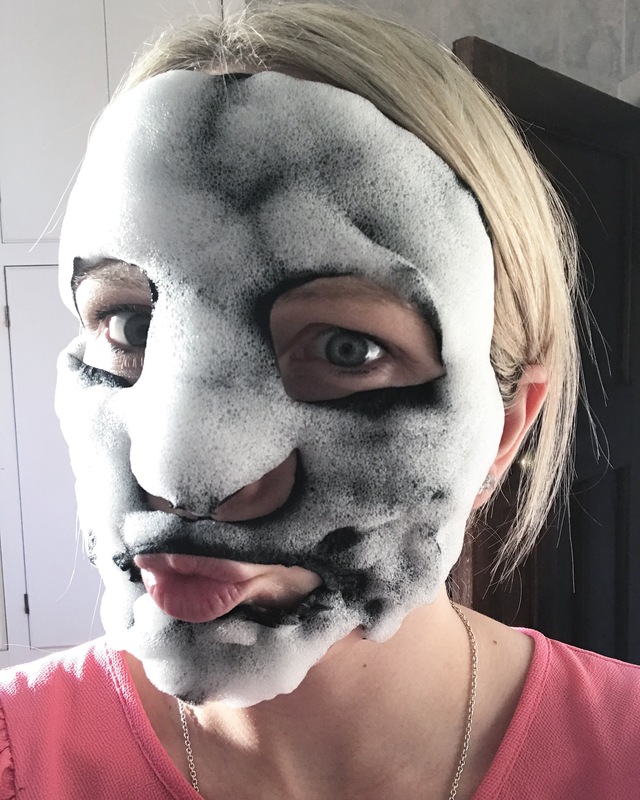 As I mentioned, the mask comes in two halves and I like this as it means it can contour to your face easier than say the Garnier Sheet Mask does. 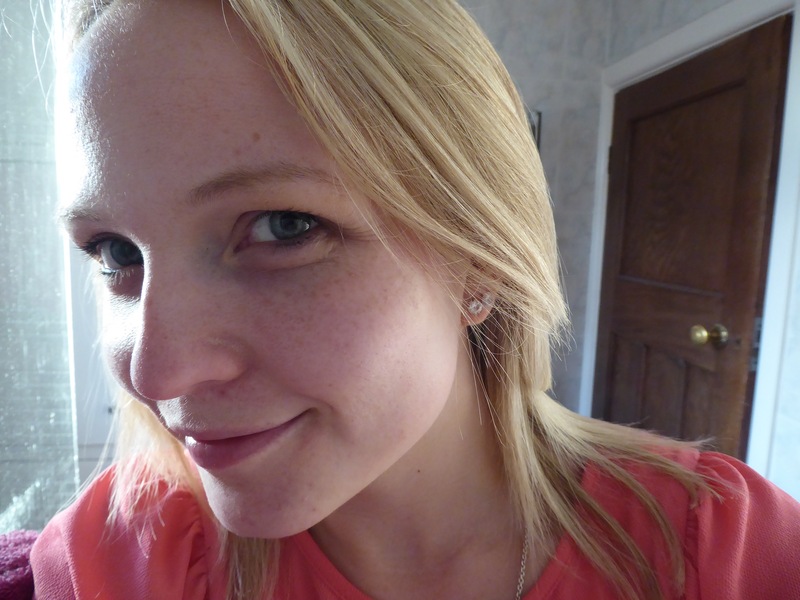 I found it easy to smooth on and shape around my face. The mask itself is wet to the touch, but it wasn’t sticky. 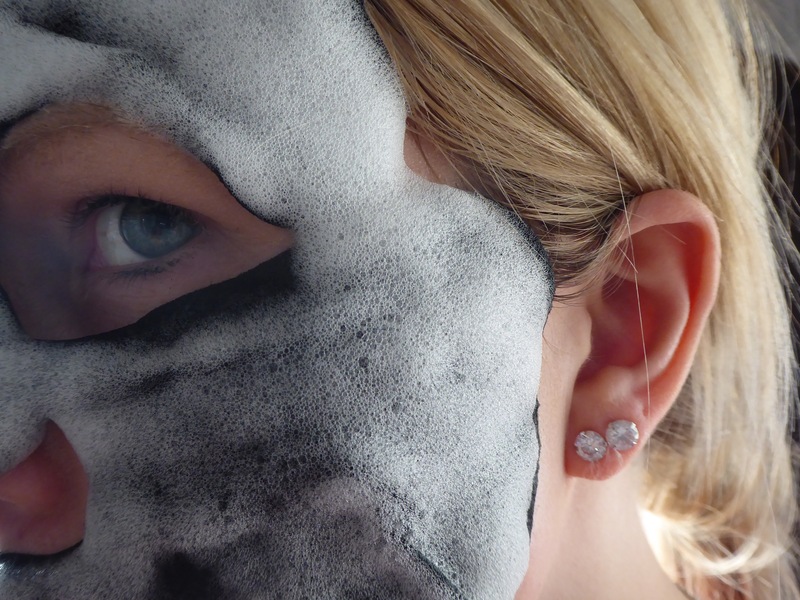 I initially planned to try the mask when I was in the bath, mainly so as not to scare Ed or the children by my appearance, but also as I wasn’t sure how much mess it would make. However, things didn’t go to plan and in the end I looked so amusing I decided to show them anyway and fortunately it wasn’t messy and didn’t stain my clothing in any way. 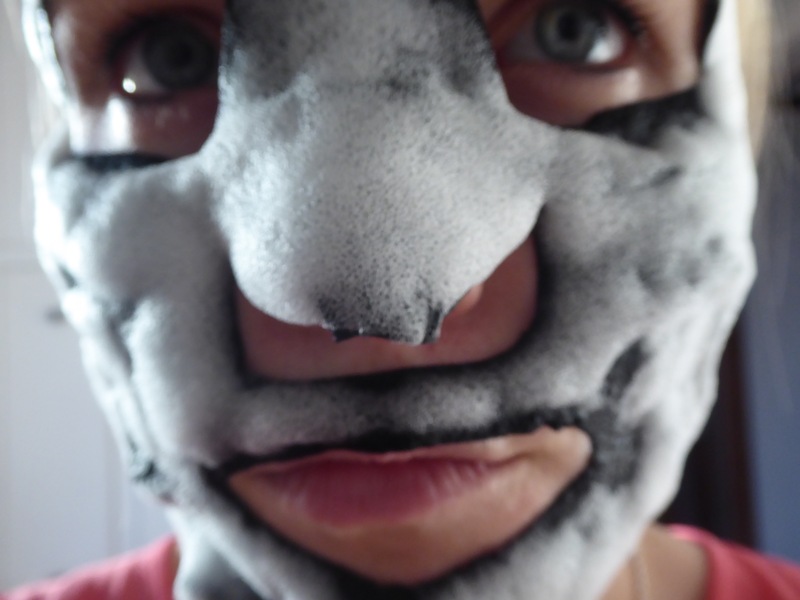 When I had the mask on I could hear the bubbles being produced – it was so weird! It sounded a lot like the snap, crackle and pop sound Rice Krispies make when mixed with milk, totally strange but not uncomfortable at all. The mask is meant to smooth pores and feel like a facial. Although I’ve not had a facial before so can’t comment on that, I do feel that my face was smoother and more hydrated after using this mask. At £5, it’s a bit more than I would usually spend on a sheet mask, generally opting for the garnier version, which is often reduced to just 99p in Boots, however for an occasional treat, this is definitely the kind of gimmicky product I love and, despite being the most unattractive I’ve ever been, I did enjoy using it! I also filmed myself using the mask for my YouTube channel, so give it a watch if you fancy a laugh! I saw this on your instagram! Is it weird that I totally just want to touch your face now haha. I bet my door would go if I ever tried this ! I love bubble sheet masks!! They feel so weird and totally crack me up when I look at myself in the mirror. However, my skin feels nice after using them. They really are so much fun!!! That actually looks so amazing! I can’t believe it actually bubbles up like that! Charcoal is such a craze right now and I actually wrote a post about it myself! I can’t get over how this looked!! I think I would most definitely petrify the boys wearing it, I’m the same though in that £5 is too much for a mask for me so I’d be sticking to the moisture bomb ones.